I was honored to be Michael Kennedy's guest for the second episode of his new podcast. 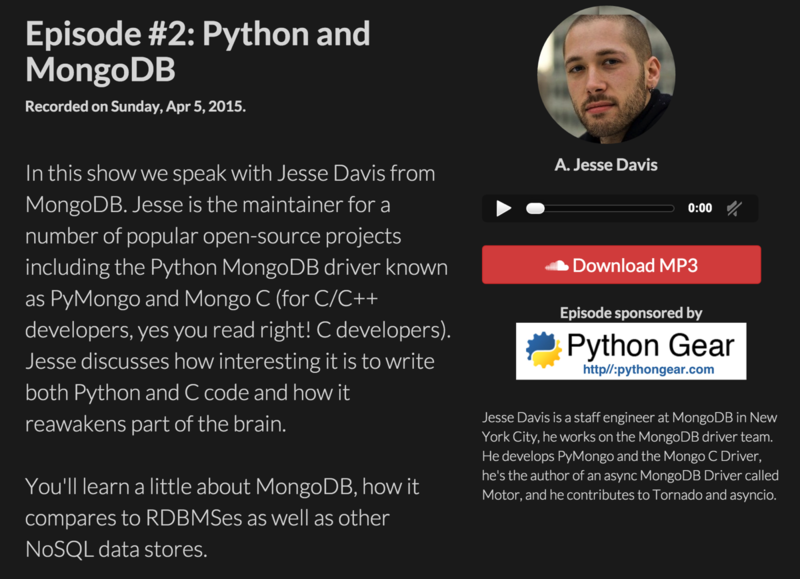 We talked about my career as a Python programmer and how I came to work for MongoDB. We discussed PyMongo, Motor, and Monary. You should subscribe to Michael's podcast. His conversation with Nicola Iarocci in the previous episode was great, too, and the upcoming interviews promise to be informative.